“Living is easy with eyes closed, misunderstanding all you see. It’s getting hard to be someone but it all works out. ” These are the lyrics from the Beatles Strawberry Fields Forever. We have been living with our eyes closed in Utah for too long, and members of Utah State Legislature seem to completely misunderstand beer and how to write good alcohol legislation. 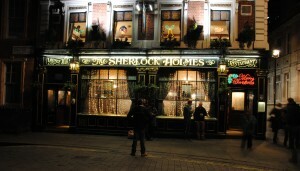 The Sherlock Holmes Pub in London is about a block from the Thames in Westminster. The Pub not only features some excellent authentic draught and cask ales, but it also serves as a museum of Holmes’ artifacts including posters and a recreation of Sherlock Holmes study and labratory. 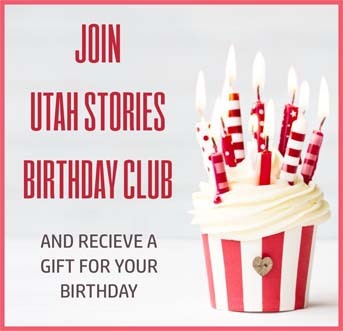 Driving under the influence is a big problem, and even members of the legislature are being busted for DUI which is why I’ve diligently prepared this special report written just for them, on how to enjoy health, happiness and wellness by learning a thing or two from the British regarding Utah liquor policy. Beer is not evil. Beer an old sacred beverage developed by monks, prepared out of love and devotion to God in the belief that he loves us and wishes us to be happy. Nearly every home in England is within a stone’s throw of a pub. Due to this fact, DUI is much less of a problem in the UK then it is in the US (and esp. 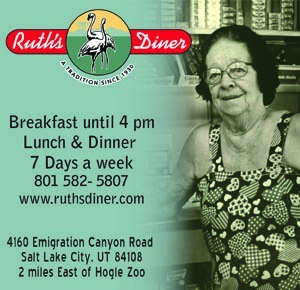 Utah) because nobody is required to drive long distances to enjoy a fine ales and lagers. Pubs, also know as public houses, facilitate fine opportunities to share ideas and grease the wheels of democracy. If every neighborhood had at least one pub, more people would walk, which could aid in decreasing obesity. Beer is available inside of every major college at Cambridge University. Every college has both a chapel for praying and a pub for living. (This is a fact). And Cambridge is one of the top learning institutions in the world. Utah offers some of the best beer in the world. Let’s celebrate this fact by allowing everyone who visits Utah easier access to enjoy our wonderful microbrews by allowing more that just the 3.2s on tap. Visitors to Wyoming can drink Utah’s Epic beer on tap but in Utah we cannot. Beer and pubs thwart depression by providing free, cheap therapy as opposed to spending years and dollars in counseling or suffering the long-term side-effects of anti-depressants. The more pubs a city allows, the more tourism dollars a city generates. Tourists choose Colorado over Utah in part because of the liquor laws despite our resort’s superior ratings. Children should be allowed in pubs with their parents. Children unaccompanied by parents should receive a free beer and a puppy. This policy is common to English pubs. For the members of the Utah State Legislature currently drinking behind closed doors, I’d like to invite you to come out and enjoy the wide-wonderful-world of beer and pubs, as certainly Brigham Young and Joseph Smith once did. Early on in exploring pubs in England we were often disappointed by the sanitized corporate menus in many of the pubs which appeared interesting from the outside. The food was bland, dull, overcooked and boring–and the service was poor. After visiting a few places like this, we noticed a trend: whenever we found the menu to be something out of a corporate-America chain restaurant, the food was terrible. I finally learned that while these pubs appear local, many are in fact a part of giant corporate entities such as Green King Brewery and Wetherspoon. Don’t waste your time and pounds in these pubs. Instead visit Free Houses or Pubs in which you can witness the personal touches of an involved owner, like those recommended below. We visited a few pubs in London, but we found the village pubs in Cambridgeshire far superior to those in London. The pubs we visited in London were full of people– jam packed all in their own little cliques. The rural villages offer great historical attractions such as ruins from ancient Abbeys, beautiful architecture, churches, ancient mills and gardens. Most of even the tiniest English villages have their own pubs, where we often met very cool people and had great service and food. Unfortunately, these pubs are dying in the UK, as the government is imposing greater taxes on beer. These taxes have little or no effect on the corporate pubs, but has a severe impact on the village pubs. This is due to the fact village pubs must keep their prices very low in order to appeal to the locals, who have less disposable income than the urbanites. So in effect the UK Parlament, rather than preserving and protecting these cultural and social institutions, they are killing them through taxes. Does this sound familiar? Still, there are some real gems like the Plough in Cotton. And the Willow Tree in Bourne, which has amazing food (unfortunately a rarity in the UK). Our number one favorite pub is defiantly the Pig and the Falcon in Saint Neots, which features 10 excellent Belgium beers, many I never tasted, as well as hundreds of the best beers from all over Europe. We also came on a night they had a “jam session” and listened to some excellent live bands– both punk and classic rock. I hope that someone from the UK Parliament opens their eyes to the harm they are causing to rural England by imposing these taxes, just as I hope the Utah State Legislature understands the damage they cause to Utah and some of our best local businesses by over regulating our liquor laws. Did you like this? If so you will also enjoy, a Tour of Great Beer, Pubs and History in Brussles, Belgium.